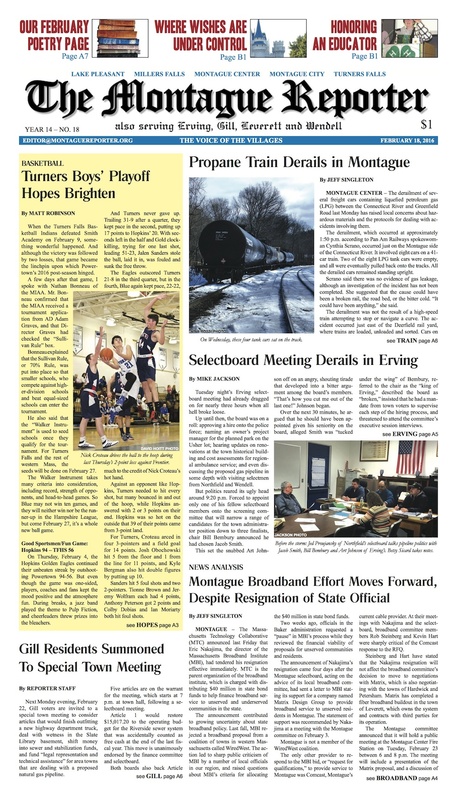 Propane train derails in Montague; selectboard meeting derails in Erving. TFHS boys’ basketball playoff hopes and Montague’s broadband effort remain on track. Gill residents prepare to take up five articles at Monday’s special town meeting. Wendell’s selectboard accepts a parcel, hears from the broadband committee, and prepares for ambulance fee hikes. A letter writer explains why clearing the Montague Plains is for the best. Our editorial calls again for greater involvement in local governance. And, this month’s Poetry Page features the work of a Wendell poet. MoRe: From Florida, our correspondents send word of burrowing owls, apple blossoms, and Disneyan dystopia. In Northfield, a 4-H leader calls it a day after 50 years leading maids and men. 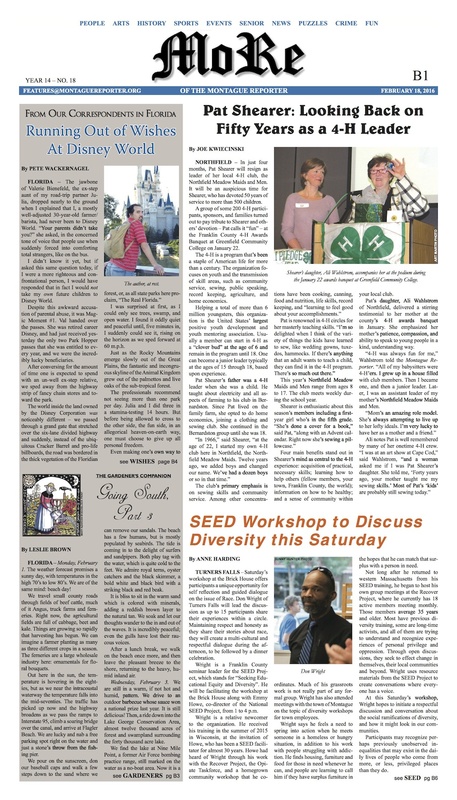 A SEED workshop at the Brick House this Saturday offers an opportunity to reflect upon and discuss race. Plus: the Healthy Geezer wraps up his series on heart attacks; dual spirit cats seek homes in Pet of the Week; someone stole the eyes from Nina’s slug (reward offered! ); MCTV listings; senior center activities; police logs from Montague and Erving; arts and events listings, and more!